Meet the Cleansing Class of 2017! No but like, forreal forreal ready? I'm SO excited about Christina's Choice 2017. Easily, this is my favorite series of the year, but it's also the most difficult. You guys know by now that I'm a full fledged product junkie. "No buy" is not in my vocabulary. "Sale","BOGO", and "half off" is my love language. Christina’s Choice is my end of the year round-up of the best of THEEEE BEST products that I’ve tried for natural hair during the corresponding calendar year. Holy Grail status, if you will. You can peep my 2014 thru 2016 picks below. It’s literally just me, my stash, and a lot of hard decisions to make. 2017 was definitely my most difficult year to date - hence why it took me so long to drop the series. I kept going back and forth. Pruning my lists by categories. Re-reading my reviews. Re-testing products. Scrolling through all my IG posts. Y'all, it got real. But I'm now ready and 137% confident that Christina's Choice 2017 will give you thrills, chills, shockers, and steals! You ready? Ladies and gentlemen, the best of the best. Genedor Beauty as a whole came out swingin' in 2017 with a super solid line of products. 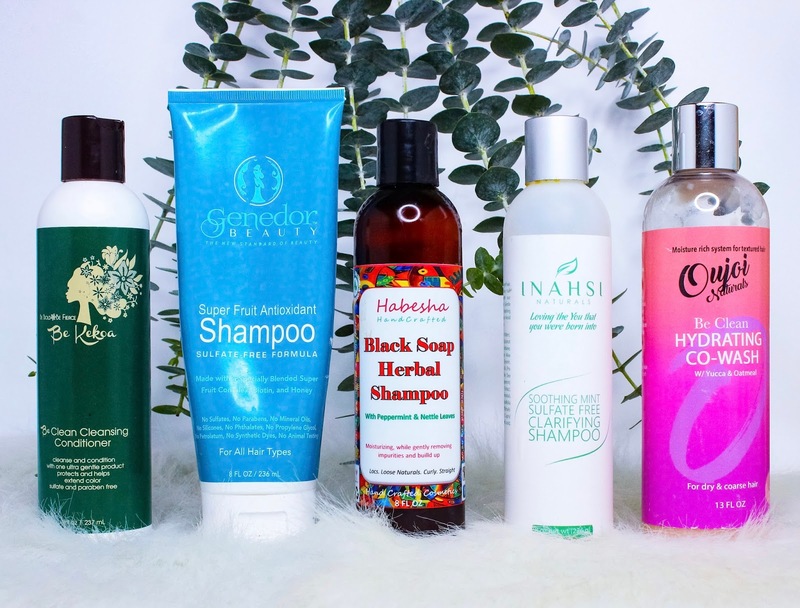 Trust and believe, the Super Fruit Antioxidant Shampoo is not the first Genedor Beauty product you'll see in the Christina's Choice 2017 lineup. Super Fruit is the perfect shampoo in so many ways, but especially for naturalistas who tend to shy away from the suds in favor of co-washing. Super Fruits is creamy, rich, has slip, and rinses leaving your hair feeling clean and conditioned. Basically, it's bomb. Habesha Handcrafted showed up in the late half of 2017 and absolutely stole my heart. This video pretty much sealed the deal for me. The Black Soap Herbal Shampoo shampoo is legit fire. I don't know how Kendra did it, but it has OFF THE CHAIN slip, not to mention a stellar all-natural ingredient list. I did not detangle before using that shampoo. It makes my scalp feel amazing, and doesn't leave my hair stripped. The Black Soap Herbal Shampoo is quite literally one of the BEST shampoos to ever grace my hair and scalp, period. If you live for the minty tingle, then you’re going to absolutely love the Inahsi Naturals Soothing Mint Sulfate-Free ClarifyingShampoo. It’s minty (but not overbearingly so), has a thinner consistency than most clarifying shampoos (which I love), and even has slip (which I love the most)! It’s jam-packed with ingredients great for the curls and scalp – and gets the job done with removing serious product, oil, dirt, and debris. 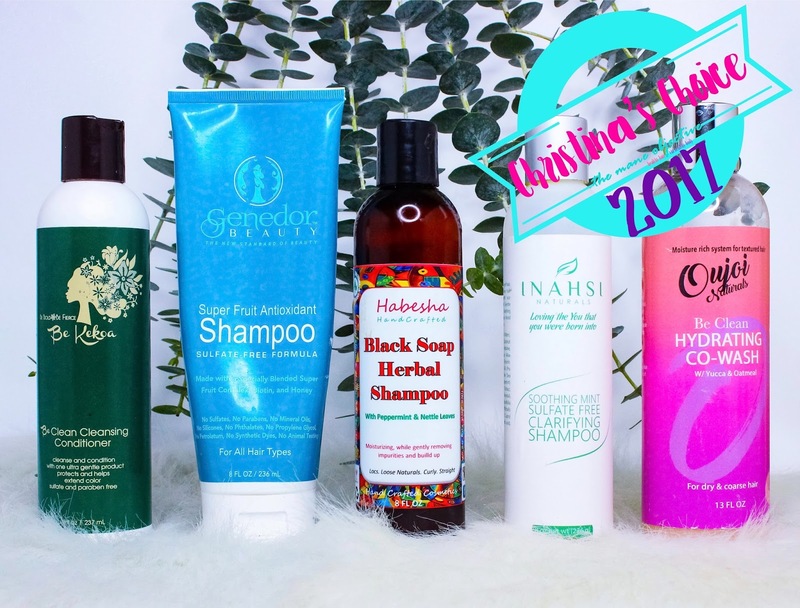 If you're still not clarifying in 2018 (and I hope with all my heart that you are), Inahsi Naturals Soothing Mint Sulfate-Free Clarifying Shampoo is an excellent place to start. Y'all, I'm officially in love with two Be Cleans. Yes, Oujoi Naturals also has a Be Clean, in the form of their Be Clean Hydrating Co-Wash. And it is amazing. Rich, creamy, and full of slip, Be Clean left my curls feeling like they touched the hem of Jesus' garment. Y'all know what I'm talking about. The experience was that real. It's creamy, rich, packed with moisture, and amazing slip. And after rinsing, every problem I had literally melted away. Tangles. Dryness. Rough ends. Student loan debt. Okay, maybe not that last one, but you get my point. Oujoi's Be Clean Hydrating Co-Wash makes for an easy wash day in tropical paradise. Back in 2015, I introduced the "Deserted Island Pick". In each category, I asked myself - "If I had to be stuck on a Deserted Island with just ONE product mentioned here, what would it be?" This year? It's a newcomer and a SHOCKER. Read More: 17 Brands to Try in 2018! The BEST of 2017, hands down! Talk about unexpected. But trust and believe when I say WELL DESERVED. 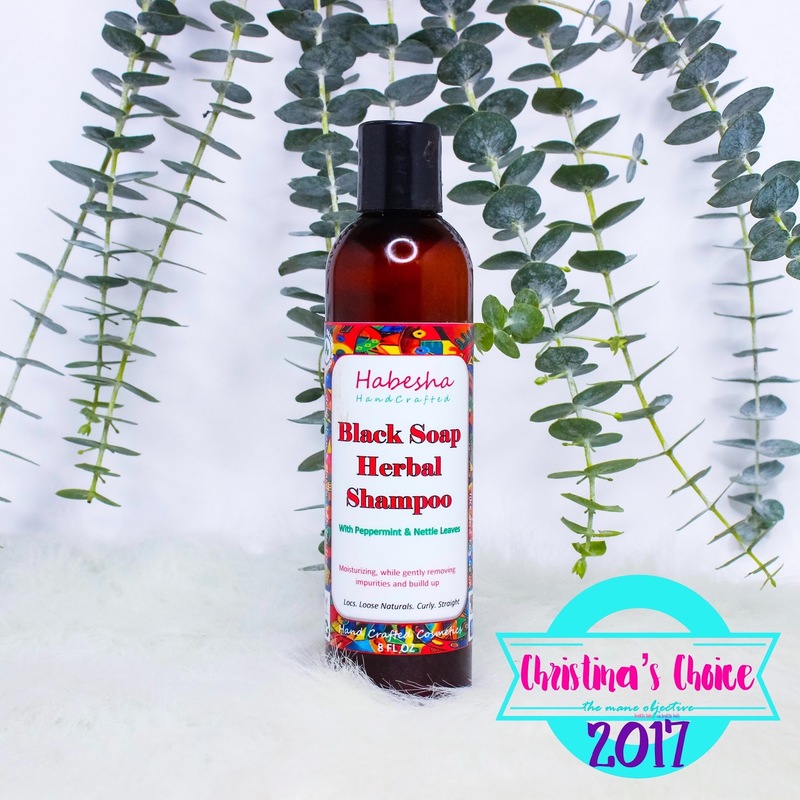 Habesha Handcrafted's Black Soap Herbal Shampoo hits all the marks - amazing ingredients, stellar slip (and not just for a shampoo, either), and making my hair feel soft, clean, and strong without being stripped or dry. Looking forward to many, many more wash days with Habesha Handcrafted in 2018!